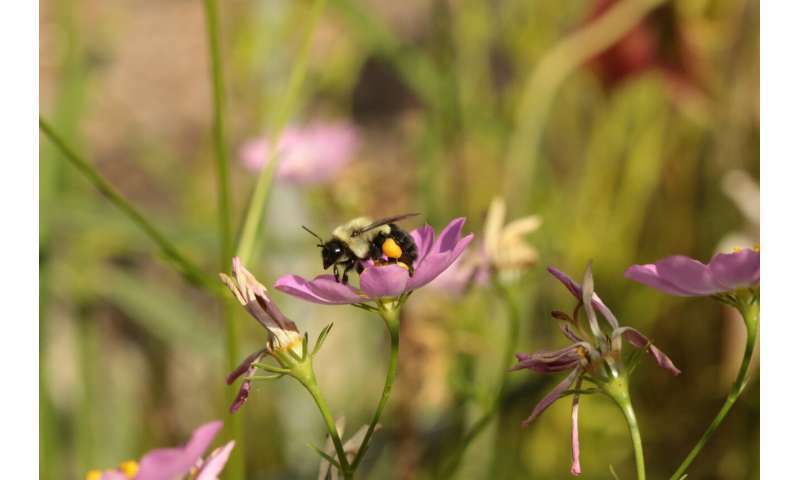 "Bees are declining around the world, which is a problem because these pollinators are critically important, both ecologically and economically," said Margarita López-Uribe, assistant professor of entomology, Penn State. "Our study has major implications for bee species conservation. For example, the ability of a species to disperse farther can enable that species to move to suitable areas under scenarios of climate change." The team reviewed all pre-existing studies that had measured bee population genetic structure. The researchers related this population genetic structure to the bees' body size with a goal of determining whether this relationship would provide an indication of how susceptible bees are to barriers to their movement, such as the destruction of habitat due to deforestation or urbanization. The team's results appeare online in February in Molecular Ecology. According to López-Uribe, population genetic structure describes patterns of genetic diversity—the basis of a population's ability to evolve and adapt to new conditions—among populations within a species. Lower population genetic structure suggests that the genetic diversity of a species is equally distributed across its geographic range, and higher population genetic structure suggests that the genetic diversity is clustered or subdivided into groups. 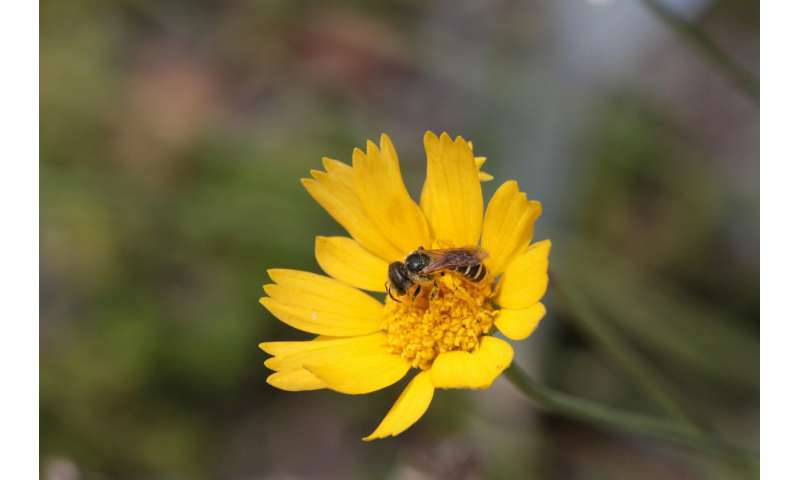 In addition to body size, López-Uribe and her colleagues also examined the breadth of the bees' diets and their social behavior—whether they are solitary species or work and live together as part of a group. The team focused on studies that used microsatellite molecular markers—unique bits of DNA that are prone to mutations and allow scientists to quantify genetic diversity in a species and examine the pattern of that species' population genetic structure. "Dispersal is hard to study in small insects," said López-Uribe. "Our study is the first to link bee body size and sociality with population genetic structure, which means we can predict which species may be at risk of local extinction based on these traits." "It confirms body size as a master trait whose variation and genetic basis should be the focus of further inquiry if we want to understand how bees adapt to a rapidly changing environment," said Soro.